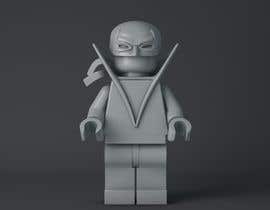 We need some one who has ability to turn the product picture that we provide into a 1:1 size 3D STL accessories for lego minifig. The end result need to be at least 95% or significantly identical as the product picture. We will have many designs to be turned into 3D STL and it will be on going project for who done our task as what we expected. For this post.. we would like to someone to make the Helmet and Collar which are perfectly fit in the STL that we provided. Hello! So to clarify, you want the collar and mask made from iron fist to fit on the minfig? Hi. Could you please upload the image you need to be tuned to STL files for this contest?